Betta Fit was established over 30 years ago and is now highly respected thoughout Nottingham, Derby and the East midlands. We cater for all aspects of motor vehicle repair and maintenance from tyres and exhausts up to complex ECU faults. Modern vehicles are full of sophisticated computers which makes auto electrics an incredibly complex field requiring state of the art equipment and technicians with the skills and training to use it. We have made huge investments into diagnostic systems and staff training to ensure we can cope with any fault, no matter how complex. You've tried the rest, now try the best - Betta Fit. 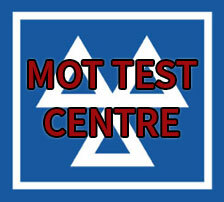 We offer free, impartial advice on any aspect of MOT, servicing or repair work even if you are not currently one of our customers. We are fully approacahable and will try to explain things as simply as possible and not baffle you with jargon.